A man in Raleigh, North Carolina died after experiencing chest pains during a race that involves eating Krispy Kreme donuts. 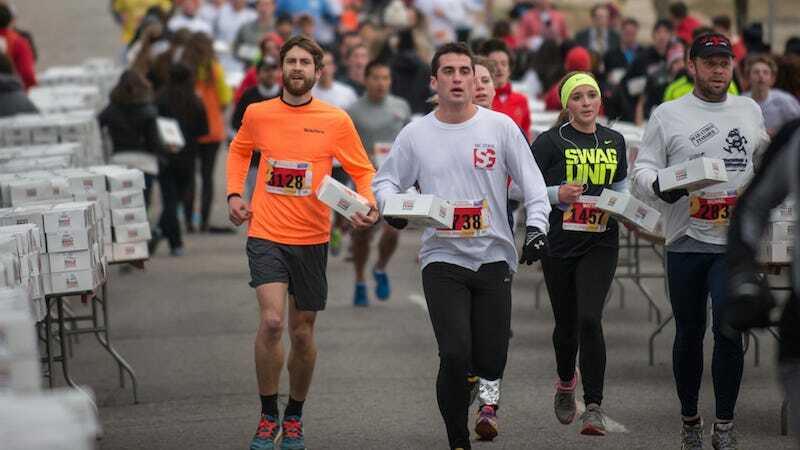 Currently in its 12th year, the annual Krispy Kreme Challenge requires participants to dine on a dozen donuts during a 5-mile race. The 58-year-old runner, who’s unidentified, reportedly started feeling chest pains on Saturday after the first mile of the race, which was organized by North Carolina State University. He was transported to a nearby hospital where he later died. Unfortunately we have some sad news to share. We regretfully confirm that a participant of today’s Krispy Kreme Challenge has died. A 58-year-old male stepped out of the race within the first mile and reported having chest pains. He was transported by EMS to Rex Hospital where he was pronounced dead. We are deeply saddened and wish to convey our heartfelt condolences to his loved ones.